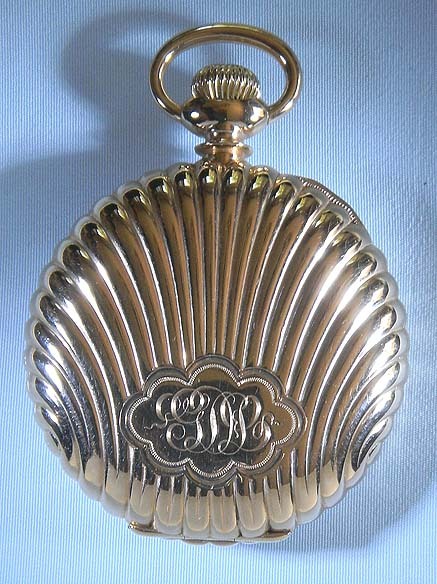 Fine and heavy 14K gold Swiss scallop case antique pocket watch circa 1890. The scallop design continuing from the back to the front bezel. 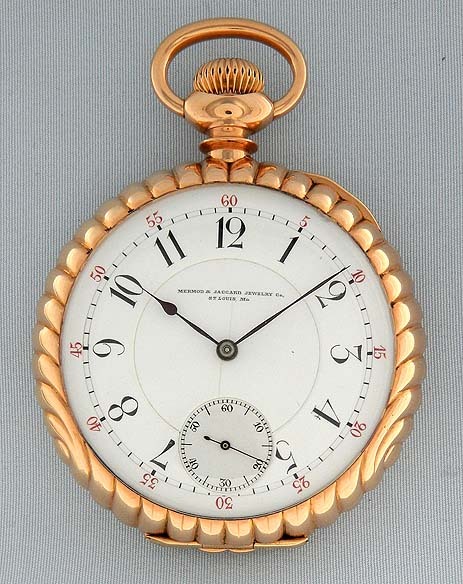 Fine bold white enamel dial (hairline and edge chip hidden under the bezel) with red and black numerals and blued steel hands. 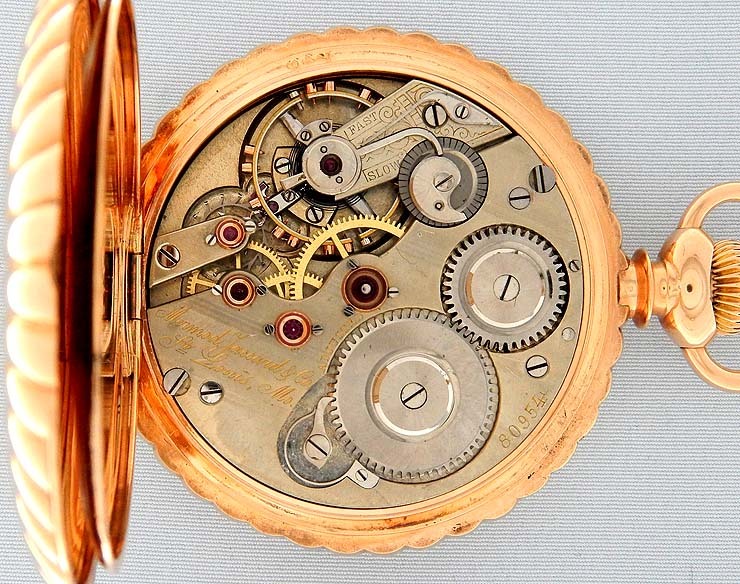 High grade 21 jewel nickel movement with precision regulator and screwed gold jewel settings. 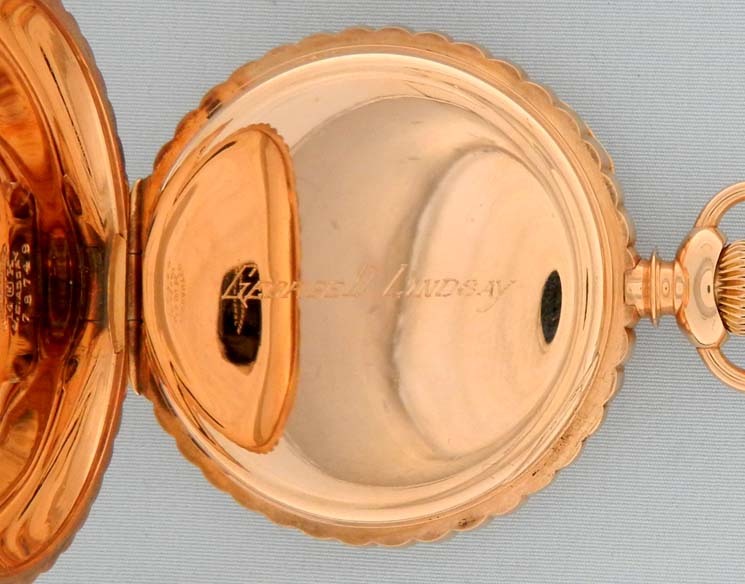 A most handsome watch signed with the name of the retailer.